Meteorologist Lee Goldberg has the latest AccuWeather forecast. NEW YORK (WABC) -- Clouds will be moving into the area on Thursday ahead of a rainy end to the week on Friday. 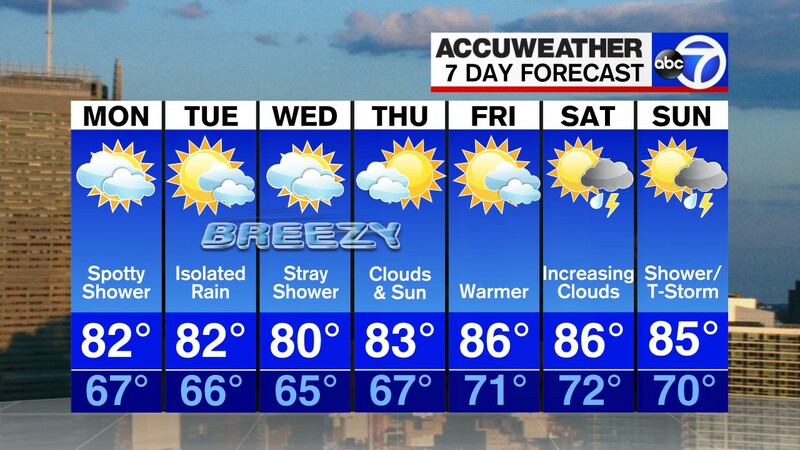 AccuWeather Alert for rain with a chance for thunderstorms with highs near 64. Sunny but gusty. High near 63. A few showers to the north in the afternoon with a high near 64. Windy with a mix of sun and clouds with a high of 62. Chance of a shower with highs near 62. Another chance for showers with a high of 66.